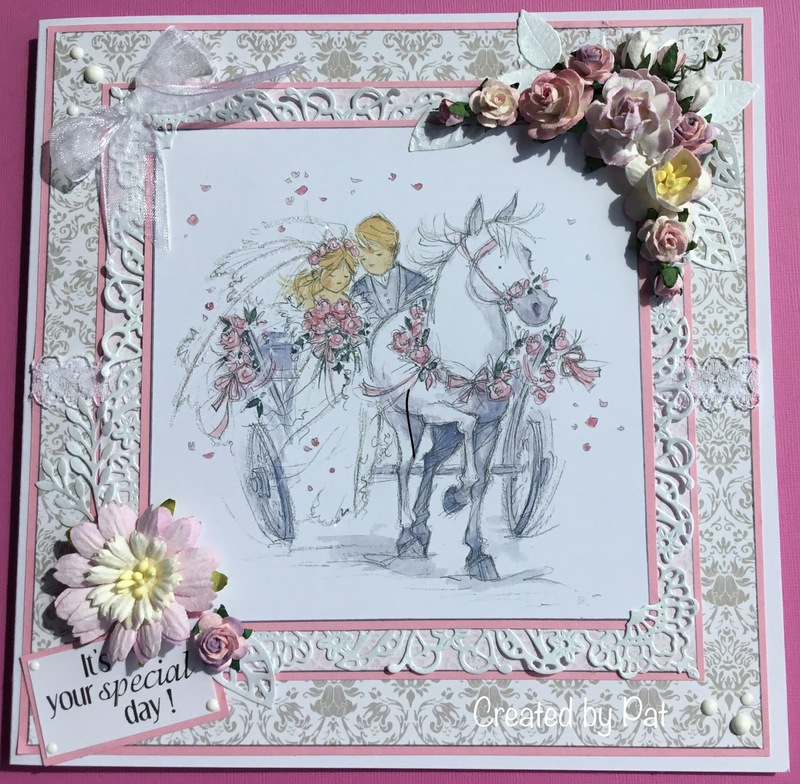 It's a beautiful image Pat, love how you've framed it with the delicate lacy die cut and the clusters of flowers, fabulous make. Beautiful card, love that image....enjoy your weekend. A beautiful cad Pat, such a pretty image and lots of lovely details. A beautiful wedding card Pat, that image is just delightful.